I just wanted to say how good it feels to be back at bootcamp this month (despite my performance on Saturday!). As much as it pains me to say, after having 3 weeks off before the marathon and having to rest because of my knee, I actually really missed bootcamp (and exercising in general). 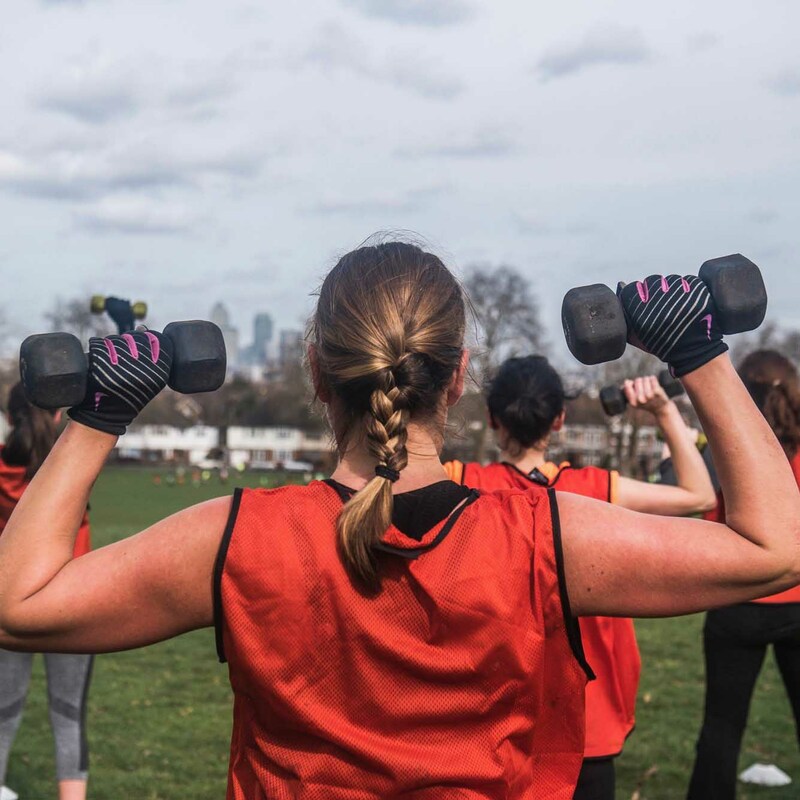 I certainly wouldn’t have ever thought about running a marathon before joining bootcamp and wouldn’t have been able to run it without the help of all those squats, lunges and crunches that you force on us every week….so thank you! I've seen better results in 4 weeks at bootcamp than I did in 3 months of the gym. What a great email. And look at you predicting the weather like one of those people on the TV. You're a veritable Wincy Willis (ask someone of my age what this means!) Okay. I hated the first three sessions at boot camp. My mother had bought it for me for Christmas so I felt obliged to keep coming. I felt stiff and tired afterwards and I dreaded the next session. Who in their right mind would want to trudge around a tennis court when there are mince pies to eat and gin and tonics to be drunk? 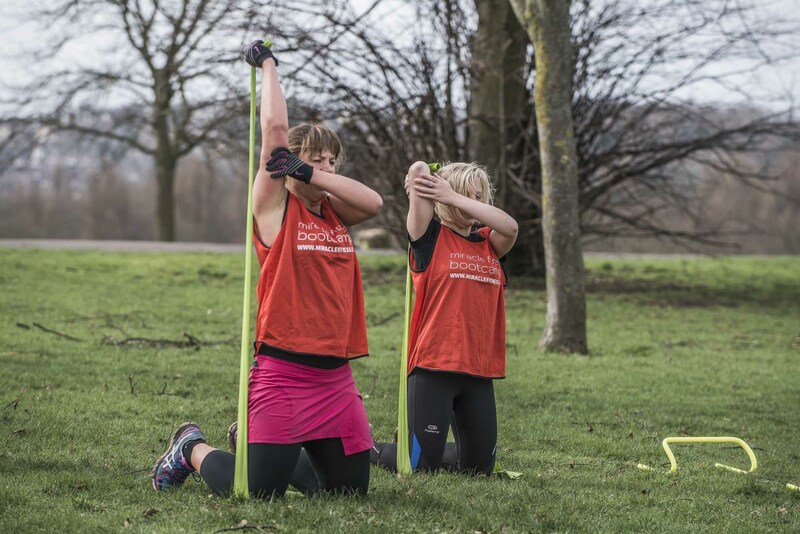 However, at the end of my first boot camp I am convinced that I should sign up for the next one - I wake up earlier in the mornings, I have more energy in the day and have even managed to schlepp my bones round the park a few times on days when boot camp isn't on! This is more exercise than I have done for three years but I have discovered that I can still do it albeit a bit slower than you would like me to! To top it all, I weighed myself this morning and, my goodness, what a difference. A stone and a half lighter than when I first started and this is despite the mince pies and cheese slices I have eaten in the meantime. This is not like me at all. I can't say that I enjoy every part of every session - but the results of boot camp speak for themselves. Thanks Fernando. Hi Fernando Let me tell you something. Before I went on holiday in June I bought a pair of linen trousers. I can now pull those trousers on and off without undoing the zip! My clothes are looser my watch is flapping around my wrists and I have loads more energy. I wouldn't have got any of this without Bootcamp. I will push even harder. I have lost 11lbs since starting bootcamp which is Wonderful. Before I joined camp last August I'd been away on holiday and when I saw the pictures when I came back I knew I had to do something. That's why I took one of your leaflets at Crystal Palace train station. I can run - but know I need to do better and that is partly because of a mental block I have. I need to do more to improve my stamina. I am a lot more toned and stronger. I am so much more positive about myself and I know what I have to do to keep fit. I love the circuit training courses that we did in the gym during the winter. I found that challenging and fun. I love the resistance training and I like the cardio. I also like the great feeling after doing some running. Finally I have some news to share which you may find worthy for onward distribution. This evening I attended our annual charity event called railhouse rock for cancer research. Consider that trivial background. The important bit starts here. As I was leaving the dance floor to purchase my round I bumped into an old colleague. He gave me a double take look, patted my stomach and said what is going on here? Not knowing whether to be insulted and lay him out with an attacking elbow move taught by you, or not, I said 'what do you mean' to which he replied 'your gut has disappeared'. Although not strictly accurate I was delighted. And just goes to show that bootcamp and beer can live together in perfect harmony and still get results. Next target is to have the six pack admired by someone female and not middle aged. I recently returned after a holiday cross country skiing in Norway and I must say that as I was trudging across tranquil snow capped mountains in minus 23 degree temperatures, my body was quietly screaming thank God for Fernando and the bootcamps. You probably don't get much feed back from partners, but you should know that boot camp has really changed Sarah's life. Her physical changes have been really fantastic, and her energy levels have improved huge amounts. More importantly though, it has been a great social and stress outlet that has really helped her through a bit of a bad time. So from me a big thanks. Hi Fernando, I also thought last night was really good! I wasn't going to say that to you last night though! Really enjoyed the change/challenge and also doing so much running meant I was really able to see how far my fitness has come along since joining last November. When I say 'really enjoyed' maybe I didn't feel like that at the time! Hi Fernando, quick bit of feedback from me. Am basically very happy with how it is going. Like all the instructors. Each instructor has a forceful personality which is very necessary to get me to work hard. The balance of the classes seems good. I won't say which bits I'd like more/less from as the stuff I'd like less of is the stuff I probably need to do most of! Prefer the weights to the bands as well. So all good from me. Looking forward to the rest of the year. Definitely count me in for the next bootcamp! I have really enjoyed this challenge of getting fit. It is a great testament to miracle fitness that I have, for once, stuck to something- especially where exercise is concerned! I also just wanted to take this time to thank you for completely changing my perspective about fitness and training in such a short time. I had always thought that I did 'enough' in the gym or out on a run, but you have shown me what I need to do in order to get fit and tone up. I have only been working with you since the end of January but my clothes are definitely looser already and I can definitely see a change in my body shape - I am so excited and looking forward to training in the spring/summer!!! I am so happy that I have found an exercise regime that I love and will not give up on, I have been singing your praises to everyone and pointing them in the direction of the miracle fitness website!! Just a quick note to say thanks for the bootcamp. I had 2 aims, I know you say to keep away from the scales, but I wanted to lose a stone as I knew I was at least a stone overweight, the other was to fit into some trousers that I had bought 6 months ago that no longer fit me. Thanks to you I achieved both these goals and I now know that I am able to train at a higher intensity than I have been recently. I am also eating healthier, eating less meat and more fruit / veg etc, also I am keeping away from the vending machine at work. I cut out alcohol for the whole four weeks of camp and I also feel that this has helped achieve my goals - and also help pay for your services! I will definitely recommend your group to anyone who finds themselves in a similar situation to myself. Hello Fernando, I feel like I owe you some feedback! It’s been two years since I started bootcamp and your email below has proved right.. I’ve stopped thinking of the sessions as hard work, they became a habit, something I just do without thinking, and then magically they became something that I now even enjoy. And happily my body has incrementally changed too. I’ve managed to reverse the continuous upwards trend in my weight to instead lose one and a half stone. So much nicer to start the year than this time two years ago when I was 21 pounds heavier – I couldn’t be happier...So THANK YOU Fernando. I have a love/hate relationship with Fernando. Why? The latter when he pushes me beyond my usual comfort zone and years of disuse and the former when I look in the mirror and see the amazing transformation. I've tried everything from sports to the gym and even (a very expensive) personal trainer and this is the best exercise regime ever. Training in a group is fun and motivating. Being outdoors is a natural and refreshing change to a cramped smelly gym. The results are so rewarding I am now embarking upon my third boot-camp. Fernando is no push-over; he notices every detail but he's infectiously humorous too. I recommend this to everyone but be warned....it's an addiction. 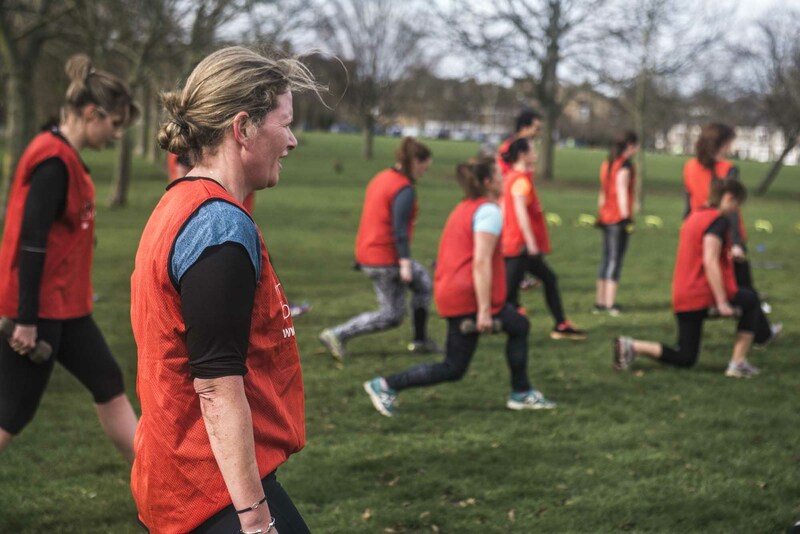 I really enjoy the bootcamps and I like the structure, I also think that most of the classes have a good balance between cardio and resistance. I've particularly liked the classes that have involved hill running as I struggle to motivate myself to do this outside of the class and I would like to see more classes like this. Before bootcamp I hated running, but because of bootcamp I have now incorporated a run part of the way home from work once a week, this is a big achievement for me as I usually rely on my friend Catherine for the motivation to make me go for a run. Anyway I started this last night, being Valentines day I had nothing better to do! Well, lets just say I know where all the 'fit' men are, they run home through Wandsworth Common and Balham, it has certainly motivated me to keep running! Continuing with Miracle Fitness has for me meant that mentally and physically I have been able to recover from sport injuries quicker. I've long believed that part of injury is in the mind and MF encourages me to look beyond an initial injury. I've been a bootcamper for almost 3 years now, and proud to be so. Of late my attendance has suffered due to work, but despite this attending bootcamp has helped, especially at stressful times. Finally, attending has obviously assisted with the pre-carnival preparations, for which I will forever be thankful. Yes, please put me down for the next boot camp. I have really enjoyed all the sessions and the challenges and feel like i am improving week by week! Dear Fernando, Here's my feedback for what it's worth! 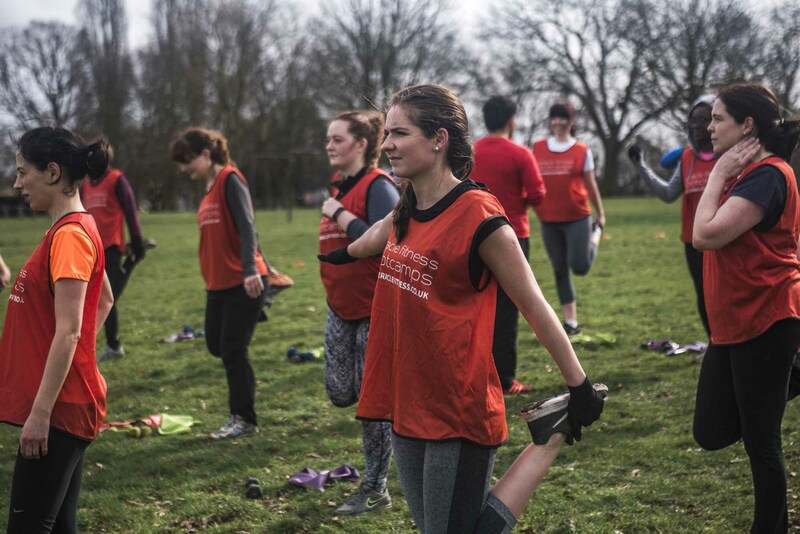 Hilly Fields is one of my running circuits and I noticed you from the corner of my eye during some of my Saturday morning runs putting a group of women (and a couple of men) through their paces. I was immediately curious but too shy to approach you and ask to observe a class. Then I ran past one of your adverts one Sunday morning in January and immediately logged onto your website when I got home. I liked what I saw, sent you an e-mail, you responded and I joined up with my daughter in tow! I had been searching for an outdoors exercise class for some time to improve my fitness because my running had reached a plateau and I wasn't pushing myself beyond my comfort zone. Years ago, I did a stint with another company and liked it, but I dropped out after a year for various reasons. I hate gyms, so that was a no no. When I came to you, I was relatively fit (so I thought! ), but didn't like where my body shape was heading (i.e. I was beginning to resemble Mr Blobby and I didn't like that!). Tomorrow is the last session of my first bootcamp and I'm very happy to say that I am hooked and have paid up for my second one starting in March. I feel much fitter and Mr Blobby is beginning to fade away. I can see some definition in parts of my body (even my torso!). I feel that I have achieved some of my goals and I feel good. Apart from areas that require surgery, I am happy with what has been achieved so far. I am proud to say that although I am the oldest member of Hilly Fields group, I am still able to keep up with the young ones!!!! You are a genius and trainer extraordinaire!!! Your attention to detail, discretion, energy and ability to address everyone by their name from day one is second to none! Yours is the only exercise regime that I have ever stuck with for more than 3 or 4 sessions, which proves how good it is! Dear Fernando, thank you for your e-mail. I would very much like to continue so please put my name down. The door has definitely been opened and I am really appreciating your great talent as a teacher and motivator, it is a wonderful thing you have created, making a lot of people feel really good physically and mentally. I will admit that I am not a person who relishes exercise but you have managed to make working out fun and varied and definitely challenging. Apart from losing weight I wanted to get my heart moving again and to improve my fitness levels, which within the short space of time that I have attended your bootcamp; I have noticed a difference. Just the other day I managed to run for the bus and I didn't collapse after doing so ha ha. Hi Fernando, Thanks I've honestly really enjoyed it, even if my grimacing facial expressions and sometimes faltering stamina have been very much in evident! I'm gonna take on board your helpful pointers and do it all again.....please can you put my name down for the forth-coming Bootcamp. Thanks. Just wanted to share with you aswell as I was so happy the other night after I realised i have increased my average speed on my runs-i used to be averaging 6.10-6.15 mins per km but my last run home was averaging at 5.40 per km for a 10k!! i feel that I found a new faster but comfortable speed (even with the big hills) - was buzzing after that 🙂 bootcamp DEFINITELY behind the improvement! thanks and have a fab easter weekend!!! I can already notice changes to my body and health and I would just like to say thank you!